Plated shafts are fluted for better grip. 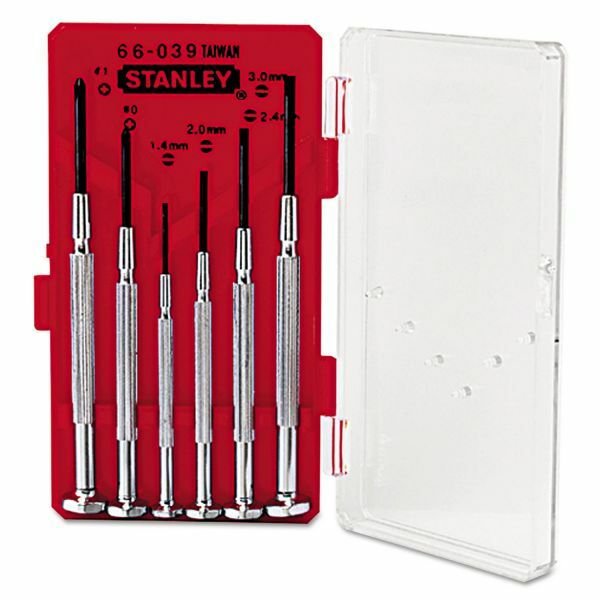 Stanley Tools 6-Piece Jeweler's Screwdriver Set - Screwdriver set features swivel-head handles with bright-plated shafts fluted for grip. Hardened and tempered steel blades with blued finish resist corrosion. Use the plastic storage case to index tools. 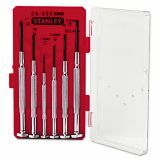 Set includes five slotted (flatheads) and one Phillips.